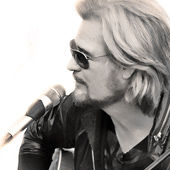 Singer/songwriter Daryl Hall is a soul survivor in every sense. 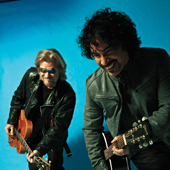 With John Oates he formed Hall & Oates, the most successful recording duo of all time, scoring a slew of No. 1 singles including “Rich Girl,” “Kiss on My List" and "Sara Smile" across six consecutive multi-platinum albums in the 70s and 80s. More recently he has reinvented himself for the digital age by collaborating with a mix of legends and newer performers including Smokey Robinson, The Doors, Todd Rundgren, Train, Rob Thomas, Chromeo and Eric Hutchinson on his own WEBBY award-winning variety show Live From Daryl’s House. But Hall's greatest challenge has been met in his personal life. On the heels of his latest release Laughing Down Crying, Hall spoke candidly to Healthline about his five-year battle with Lyme disease, how he successfully manages the enigmatic illness and standing strong and remaining youthful at 65. Daryl, you were diagnosed with Lyme disease about five years ago, and you’re always willing to speak publicly about it. Let’s start from the beginning. How did you contract Lyme disease? I got it the way everybody gets it. I’ve lived in the country for many, many years – in the New York / Connecticut border; it’s a hotbed of deer and other wildlife animals. I’d been bitten over the years so many times, and I think it finally reached a critical mass and I crashed and burned about five years ago. What exactly were your symptoms? I used to think I had allergies, because I used to feel feverish. I’d take my temperature and sometimes it would be below normal; sometimes it would be a little above normal. And I remember thinking it was a little strange, but I thought that fever-type feeling was just my body reacting to allergies. And then I started getting strange allergies to things I was never allergic to before. I suddenly got this really outrageous allergy to celery, where my eyes and face swelled up like a pumpkin, and I’d been eating celery my whole life, so I thought that was strange. Another time my left arm and hand started shaking and I started getting tremors. Then this weird thing started happening with alcohol. I’m not a heavy drinker, but I suddenly had a major sensitivity to alcohol, where I’d have one drink and I would go to the moon. And then one day I got a really high fever, my neck stiffened up, I had all kinds of aches and pains and I got really bad tremors. I didn’t know what it was, so I went in for tests and ehrlichia – which is a tick disease – came up in that initial test result. About a week after that, I learned that I had six or seven tick-borne diseases. Learn more about the symptoms of Lyme disease. Daryl Hall and John Oates (Photo courtesy of Mick Rock) What kind of reaction did you have after discovering your diagnosis? Truthfully, my first reaction was relief, because I didn’t know any better. I remember thinking, 'OK, now I know what I have; I have Lyme disease! Huh, that doesn’t sound so serious; now I just need to get rid of it.' Let me tell you... I had no idea. How did you proceed from there and when did you learn of the severity of the disease? I was still under the impression that it wasn’t a big deal, but I wanted to take care of it right away. I went online to do research and then I went to see a doctor who was one of the best in his field at the time. He gave me the proper tests and explained to me exactly what having Lyme disease was all about, what it entailed and what my future was going to be like. I have to be honest; it was all pretty depressing. During the time I was going to him, I’d see some of his patients in the waiting room and what I saw was just nightmarish. These were people who were crying, screaming, their hair was falling out, all sorts of stuff. What I was seeing in those people were the worst-case scenarios of this disease and it was scary. Eventually that doctor moved into the field of research, so I got a new doctor and I’ve been with him ever since. You’ve said that you went through the worst parts of the disease right after you were first diagnosed. How does it affect you today? Sometimes it doesn’t affect me at all, but then it comes back in phases. Right now I’m in a phase where it sort of comes and goes with a little more regularity, and when I say that I mean that I get something called a herxheimer reaction, which is sort of a roving group of symptoms. It affects different people in different ways and it even affects me in different ways each time I get it. To give an example, about a month ago I suddenly had such arthritic pains in my legs that I could hardly sleep. That lasted about a week and then it went away. After that I started getting heart palpitations, and then that, too, went away. And then I started getting headache-type feelings, but then that went away. So all these symptoms, they rove; they move around. So if someone has symptoms and then they change or keep changing, it might be a good idea to get tested for Lyme disease because the symptoms mimic so many other things. Yeah, I was just going to say that all of the things you just mentioned could be symptomatic of other things. Do you ever worry that any of these symptoms are reflective of an unrelated illness? See, now that’s the weird thing about having this disease. I mean, how do you know? Or how do you not know? When someone has heart palpitations, only by going to a cardiologist would they know whether they have a bad heart or not. And I’ve been to a cardiologist and I know I don’t have a bad heart, and I also know that I’ve had heart palpitations before and I know it goes away. This is fascinating. After you were first diagnosed, was there ever a time when you couldn’t perform? Yeah, right after I was first diagnosed I had to cancel a tour. When it first hit me, it was so bad I had to go on medication right away and was really down. I tried really hard to work through it in the very beginning and I made it to a show out in Phoenix, but I collapsed. That’s when I knew I had to stop. So I did stop, and I had to cancel the tour and I was sort of out of commission for a couple of months and taking pretty heavy doses of various medications. But then I was absolutely able to come back, and I would consider it maintained and under control now. As I said, I do have various flare-ups, but they don’t seem to be debilitating; these flare-ups aren’t something that I can’t live with onstage. I can handle it. I, myself was raised in rural New Jersey, and because of the large deer population the public was warned about Lyme disease. But the messages were limited to basic prevention; we were just told to make sure we checked for ticks. After hearing details of the disease right now – much of it for the first time – I’m curious if you think there’s enough public awareness around the disease. There is so much controversy and confusion around Lyme disease, and I think that anyone who has it – including myself, cannot understand why that is. Because of the confusion and controversy, all kinds of theories come up; everything from governmental to insurance conspiracies, etc. I don’t truly know the answer, but I do think there may be some people who do have a vested interest in keeping it quiet. Lyme disease is not recognized by the Center for Disease Control as a chronic illness, and for anybody living with Lyme disease, the fact they don’t recognize it as such is almost a bad joke. I don’t really understand why the CDC has not recognized it, and nobody has ever given me an answer that satisfies me as to why this has not really been addressed or recognized. Everyone who suffers from Lyme disease is sort of on their own. Learn which areas are hotbeds for Lyme disease. You mentioned something in an interview a few years ago about deer control in relation to how it could help control Lyme disease. I talked about that on TheHoward Stern Show, and before I talk about it here, I want to point out that someone might refute this story and reiterate that I’m just repeating the story I had heard. OK, I heard that a few years ago people were coming down with Lyme disease left and right on Monhegan Island, in Maine, and that the state took the radical stance of taking control of the situation, and they did that by killing all the deer. And I heard that once they did that, it pretty much stopped the spread of the disease in that area. I’m not sure if that’s true, but the point is that if you get rid of the deer, you can help get rid of the disease. See, ticks really need larger animals to complete their breeding cycle, and they can’t really do it as well on mice and chipmunks, so deer really are the biggest problem we have in terms of this disease in the United States. The average deer has about 1,000 ticks on them; they are literally riddled with ticks. Whenever you’re on The Howard Stern Show, you and he make jokes about how much you hate deer because of your disease. Is there anything in the world you hate more than deer? Actually, I don’t hate the poor deer! I feel sorry for the poor deer! I just hate it when they get close to me! [Laughs]. [Laughing]. OK, we’ll end on a different topic. I just saw you perform and was shocked to learn you are 65- years-old. You’ve aged amazingly well. How do you do it? Well, thank you. But I’m telling you, it’s all in the genes! It just runs in the family. I just have great parents! My parents are very, very young people in their minds and their bodies, just like my siblings, and I inherited their genes. I seriously cannot take any credit for that. But I do also think that one’s mental state has a lot to do with it, and I think being really active, doing the thing I do and being the kind of person that does the job that I do is good for me in terms of my physical activity. But what I do for a living also keeps my brain firing like a cannon! Check out the top 10 foods for healthy skin. Last question. 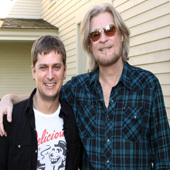 On your Web series, Live From Daryl’s House, you’ve had an incredible roster of guest artists (The Doors, Rob Thomas, Todd Rundgren, etc.) come to your country house and perform with you. It makes viewers feel like they live next door and can just hang out on their porch and watch a free show. Who would be your dream guest? To be honest, just about everybody I ask shows up! Seriously, everyone usually says 'yes,' but it’s just the logistics of getting everyone’s schedules on track. So I don’t really have a wish list. I know people want to come and play; it’s just the logistics. But I think having Bob Dylan come over and play would be interesting, just because it would be weird and interesting all at the same time.